Congratulations, you have decided to jump into the job market! How do you go about finding the job of your dreams? 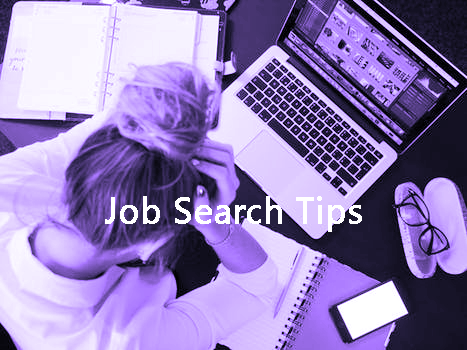 It isn’t difficult to find jobs to apply for, but it may be more difficult than you think to land a “good job.” To find job openings all you need to do is visit Indeed.com, type in “What” job you are looking for, and “Where” you want to work. The Internet’s largest job board will find plenty of open positions. Applying for these jobs is just a few clicks away. We call this the “shotgun” or “spray and pray” method of job searching. You spray your resume all over and pray you hear back. The problem is that only 7% of people who apply for jobs in this manner hear back from the companies they apply to. This “shotgun” approach can work if you get lucky. However, it is highly ineffective and you have very little control over the results, which could leave you frustrated and discouraged. In contrast, a targeted or “rifle shot” approach can be much more effective. What we mean by a rifle shot approach is a planned and systematic effort targeting companies you believe have jobs that fit your needs. Strive to find at least ten target companies to begin your search. Using job boards to find companies is a good way to build your target list. You may also wish to use business journals to find the best companies in your field. Once you have identified target companies, your plan should be tracked using a spread sheet. List your target companies down the left side of the sheet. Across the top of the sheet, mark the dates you reached out to the company so you can track when, and how, you contacted each prospect. Your goal is to speak directly to these individuals, or at least have email communication. To achieve this, expect to reach out to each person at least six times. If you are contacting people one or two times and not hearing back it may be because you are not persistent enough. Plan on attempting to connect with your target executive weekly for six weeks, using a variety of approaches. Send an email, follow up with a voice mail, invite them to connect with you on LinkedIn, send a hand-written note, leave another voice mail…you get the idea. This is where your tracking spreadsheet is important. If you track the individuals you are contacting, when and how you reached out, and remain persistent without becoming a pain, you will have much better results. down to a lower level decision maker, you can use the higher level person’s name when leaving your messages and you are less likely to be ignored. Who is going to ignore you if their boss suggested contacting you? 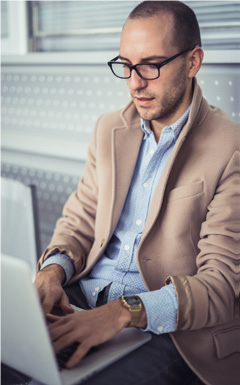 When you are successful in contacting a hiring manager it is very important to have a story that catches the executive’s attention. Your story needs to be targeted to the company’s needs and consistent across all forms of communication. Your resume’s objective, as well as all emails, voicemails, and any other correspondence must reinforce your message. This targeted approach allows you to spend time connecting directly with decision makers in companies that align with your career objectives. You will feel empowered and your efforts will pay off.